An illustrated edition of the Newberry Medal-winning Caddie Woodlawn, which has been captivating young readers since 1935. Caddie Woodlawn is a real adventurer. She'd rather hunt than sew and plow than bake, and tries to beat her brother's dares every chance she gets. Caddie is friends with Indians, who scare most of the neighbors--neighbors who, like her mother and sisters, don't understand her at all. Caddie is brave, and her story is special because it's based on the life and memories of Carol Ryrie Brink's grandmother, the real Caddie Woodlawn. Her spirit and sense of fun have made this book a classic that readers have taken to their hearts for more than seventy years. "You take "Little House on the Prairie;" I'll take "Caddie Woodlawn."" 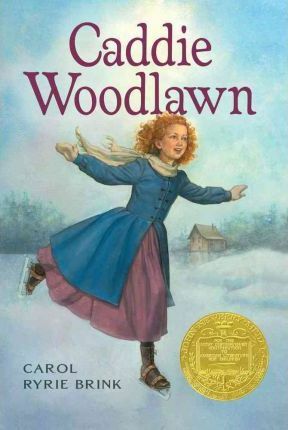 -- Jim Trelease, author of "The Read-Aloud Handbook"
Carol Ryrie Brink was the author of many books for young readers, including Caddie Woodlawn's Family, the companion volume to Caddie Woodlawn, and Baby Island. Dan Andreasen is the illustrator of numerous picture books, including By the Dawn's Early Light: The Story of the Star-Spangled Banner by Steven Kroll, which was named an ABA Kids' Pick of the Lists and a Notable Children's Trade Book in the Field of Social Studies; A Quiet Place by Douglas Wood; and Sailor Boy Jig by Margaret Wise Brown. He has also authored several picture books, including With a Little Help from Daddy and A Special Day for Mommy. Dan lives with his family in Medina, Ohio.